A revenge-driven puppeteer applies his talent to humans in this supernatural horror film. A scientist invents a "magic box" that brings the dead back to life...but when he dies, his assistant Malcolm Shanks, a middle-aged mute puppeteer takes over his invention. 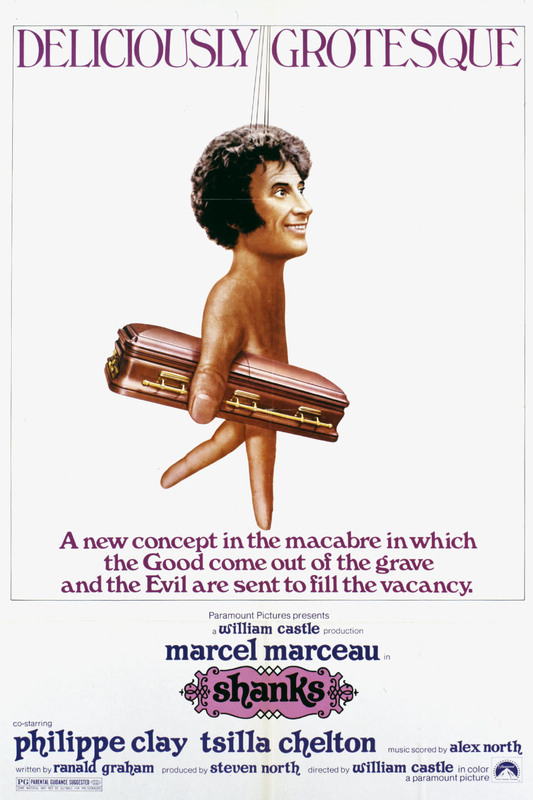 Mime Marcel Marceau, in his first major film role, plays the titular Malcolm Shanks. It was the last film directed by producer-director William Castle.